Lake County Eye: A License to Vote? If Google can make a self-driving car, then why can't drivers be automatically registered to vote at the DMV? The Illinois Senate thinks they can, and passed an Automatic Voter Registration Bill. 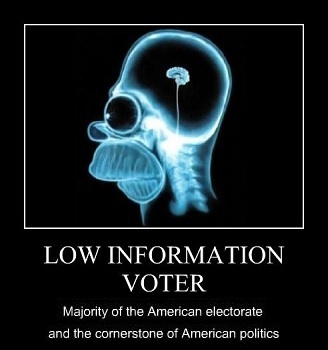 What is the benefit to democracy of increasing voter turnout if those added voters in large part may be uninformed? To find out what drives this debate, your LakeCountyEye contacted Dr. I.M. Bhatschidtkhrazzi, Adjunct Driving Instructor at the College of Lake County. "Ya, no ifs ands or buts about it." said Dr. Bhatschidtkhrazzi. "The filthy voters should not be permitted to do their business in the public voting booths." "The great unwashed, if you will." explained Dr. Bhatschidtkhrazzi. "When these people show up to vote, they pull the levers on all the machines, and spread their diseases. Ebola Virus, Zika Virus, Amstutz Virus. Care for some hand sanitizer?" Rather than framing the issue in terms of voter hygiene -- isn't this really a question about a well-informed electorate? "Donald Trump won the Illinois Primary by double digits." snorted Dr. Bhatschidtkhrazzi. "If the Daily Herald is really afraid about the misinformed showing up in droves to vote -- well that jackass already left the barn." Are there any positive solutions? "You can't have a well-informed electorate without freedom of the press." observed Dr. Bhatschidtkhrazzi. "But the local newspapers all keep a paywall around their websites. If the Daily Herald took down their paywall, the voters would have seen that the Herald endorsed John Kasich for President. And none of them would've voted for Trump." Too funny. Were there any serious solutions being considered? "No one is going to publicly admit it, but all these uninformed voters live in Chicago." said Dr. Bhatschidtkhrazzi. "So any solution would have to include improving the Chicago Public Schools. The Illinois Senate passed what some are calling a Bailout Bill for the Chicago schools. Money from suburban school districts would be redistributed to the Chicago Public Schools. The Daily Herald could endorse the Bailout Bill." Your LakeCountyEye could not shake the feeling of having been punkd. Did Dr. Bhatschidtkhrazzi have any parting advice? "Tell your operatives to get to a Secretary of State office and automatically register to vote. As early as possible. And often."